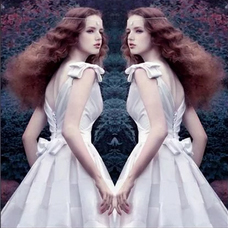 Insta photo mirror effect：create cool mirror effect photo. of art. Mirror photo effect can produce a surprisingly large range of striking visual illusions. Engage your imagination and see what you can create with it. ★ Select photo from Gallery or Camera,the mirror photo will be generated automatic. ★ High resolution, high quality output. ★ Share photo on Instagram or other social network. Go to Play Store then download a free photography app called “Insta photo mirror effect”. Install the app on your device. Once installed, launch the app then select the photo that you like to edit. You can select the photo from your media gallery or local storage. After selecting your photos, select a mirror effect style. There are lots of mirror effect styles that you can choose from so go ahead and feel free to try them all. Next, apply a filter to your photo. You may also apply a frame if you want. To further optimize your photo, you can make some adjustments such as moving the object closer or away from the center. You can also insert some text which is quite handy for adding watermarks and copyrights. So as soon as you’re done editing your photo, just tap the share button on the top-right corner of the app’s screen. You may then save your photo to your device or share it directly to your followers on Twitter, Facebook and Instagram. To create more photos with cool mirror effects, just repeat the steps listed above.